I really enjoyed my first experience with a personal shopper! I was delighted with all the clothes you recommended and all your suggestions go how to put outfits together and how to accessorise! The time flew but I really felt I got great clothes in the time and at the end I felt more confident in looking at clothes and deciding if they would suit me. I would recommend to a friend!!! I stumbled across the YStyle page a few weeks ago and was so impressed ... I decided to book an hour with Ms YStyle herself. Best decision I made! I had to fill out a short questionnaire before we met ... It was so efficient and hassle-free ... I loved everything she picked out. I've had tons of compliments on my new clothes too. I'd definitely recommend YStyle to anyone who likes the page - the only way to shop!! Family Holiday this year to France! Well girls I had my first contact lens fitting this week. I went to Mairead O’Leary Opticians in Blanchardstown Shopping Centre and met with their lovely optician Alison. I was more nervous than I thought I would be, but Alison was very chilled & calming….I always need calming 😉 She did a full eye exam, checking my sight and the health of my eyes and whether they would be suitable for lenses. That bit all went fine and I was given the green light to try the Alcon daily disposable lenses “DAILIES TOTAL1®”. Alison then popped a lens in each eye (she made it seem so easy!) and honestly I couldn’t believe the result! I could actually see myself in the mirror at the end of the room….and I was shockingly more wrinkled that I thought. Anyway, getting over that it was then my turn to try! Alison removed the lenses and I had a go. Putting them in was ok. 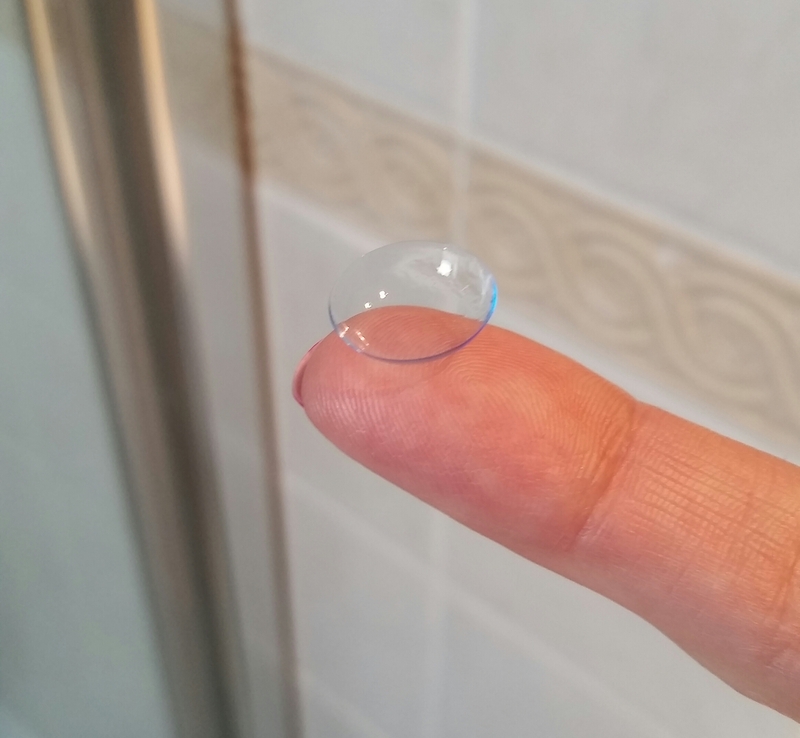 I washed my hands and then in front of a large mirror I managed to open the pack and get the lens out onto my fingertip and popped one in my right eye and then one in the left. All going good so far. I was overly confident. Then I had to take them out. I didn’t find this easy at all! My nails were too long so that didn’t help, lesson learned. I was also freaked out that my lash extensions were all going to fall out from holding my lashes! Alison again calmed me and talked me through the various ways to remove a lens. For me I found holding my bottom lid down and sliding the lens down worked and I could see it and take it out. I tried it twice and the second time was definitely easier as I had a knack, so I’m hoping with practice I’ll be flying it. I was given some trial packs to take home with me so now the real test begins! I better not chicken out, I’ll let you know! To encourage other people to take a trial of lenses Alcon® are offering you the chance to win one of 4 luxury shopping weekends in Paris with €1200 spending money, one of 5 personal shopping experiences with €1200 to spend or one of 20 “Love2Shop” Vouchers for €300. To enter you need to go to http://www.wearlenses.ie & download the “free trial voucher” & follow the instructions. There is a prize draw each month!